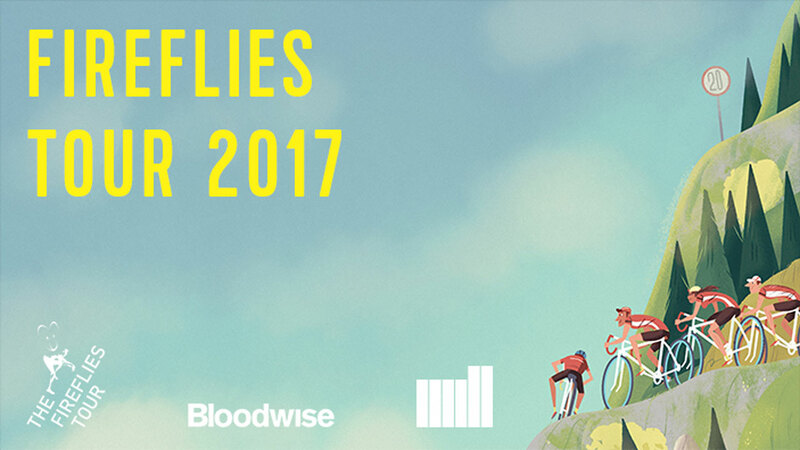 Last night The Mill’s London studio was proud to play host to the annual FireFlies film screening and launch, in collaboration with the blood cancer charity Bloodwise. Every year in June, The FireFlies cycle over the French Alps from Lake Geneva to the Cannes Lions International Advertising Festival. The challenge is to ride more than 1000kms over 18 mountains in 7 days. Representatives from Bloodwise and Paul Carless, blood cancer patient ambassador, spoke to the packed out room to hone in on the real people and experiences that are at the heart of the FireFlies mission, inspiring the next fleet of riders. This year Director Nick Mason created a powerful film showing real footage from past rides, depicting the highs, the lows and the sense of camaraderie that keeps riders returning to cycle for the cause each year. Nick’s film was shown alongside the Mill+ animation piece ‘The FireFlies Tour: A Journey to Hope’, directed by Kyle Moore and Amy Graham, created to help raise awareness for the ride and the worthy cause.